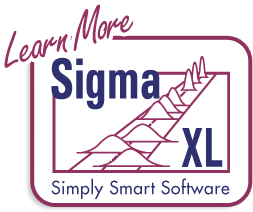 SigmaXL | Product Features | How Do I perform ANOM Non Parametric Transformed Rank in Excel using SigmaXL? 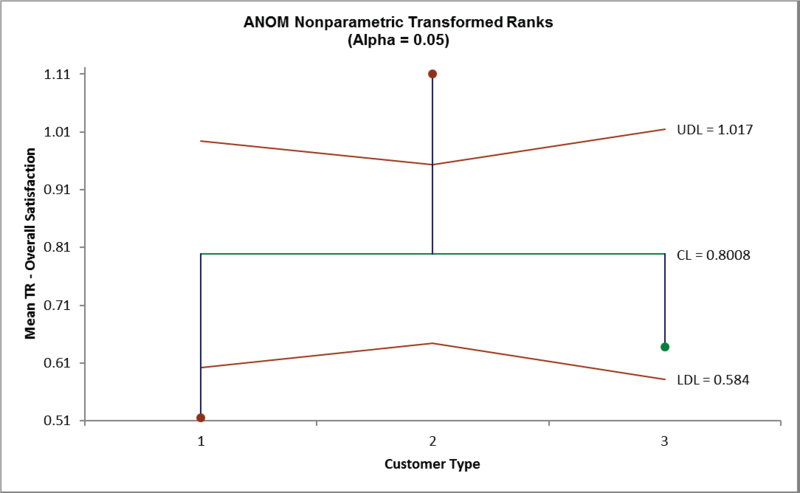 How Do I Perform ANOM Nonparametric Transformed Rank Test in Excel Using SigmaXL? 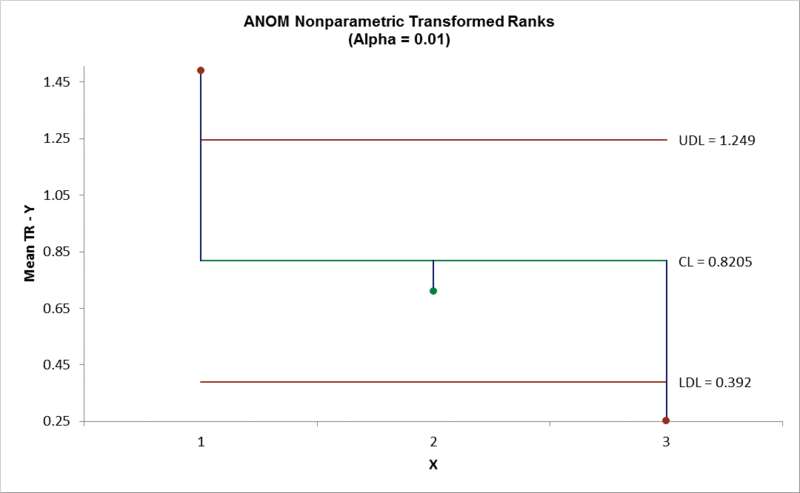 ANOM Nonparametric Transformed Ranks is complementary to a Kruskal-Wallis test. Note that it is not included as an option in the Kruskal-Wallis dialog because there is a difference in the statistic used (Kruskal-Wallis uses ANOVA on ranks, whereas the ANOM utilizes a normal transformed rank). 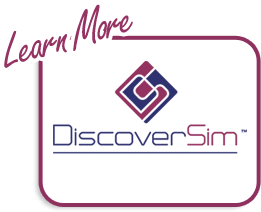 Open Customer Data.xlsx, click on Sheet 1 tab. balanced, the decision limit lines will be constant. Example 9.16 from the ANOM book with alpha level = 0.01 (used with author permission). Variable (Y) >>; select X, click Group Category (X) >>. Set Alpha Level = 0.01.
significantly lower (at alpha = 0.01). These results match those given in the ANOM book. 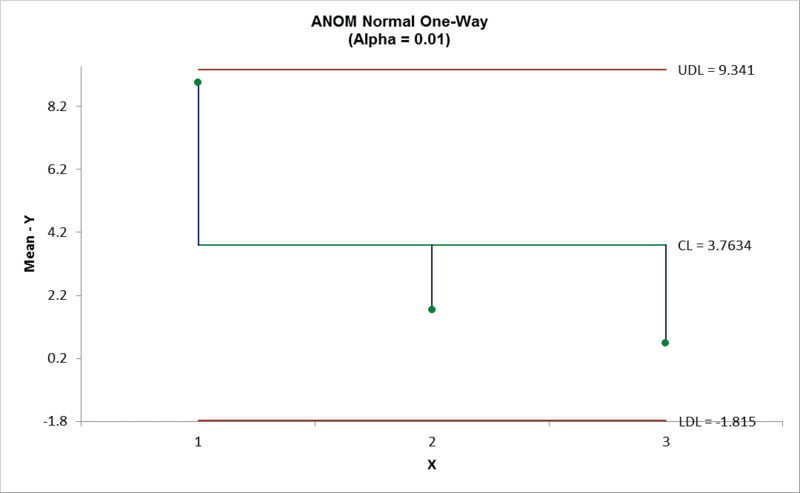 By way of comparison, rerun the analysis using ANOM One-Way Normal (with alpha = 0.01). ANOM Normal fails to detect the significant differences in mean noted above.